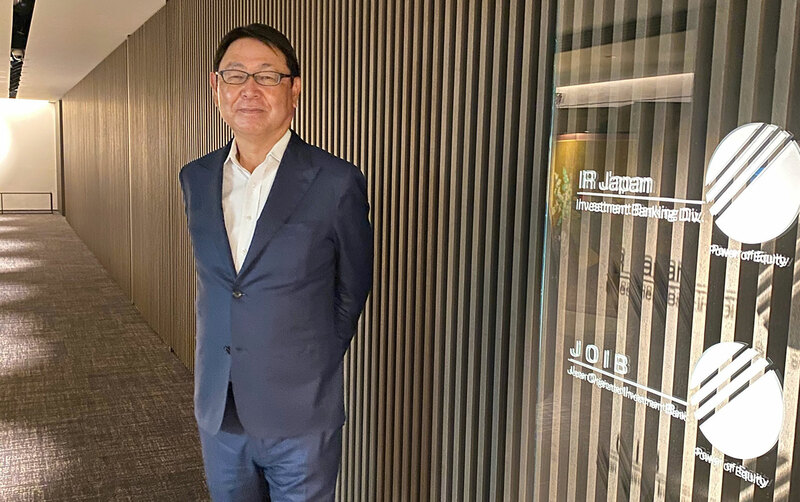 CEO Message | Management Policy | IR・SR Information | IR Japan Holdings, Ltd. In addition to the Group’s IR/SR Consulting Department and Stock Transfer Agency Department in Kasumigaseki, we opened a new Investment Banking Department Office in Marunouchi during the fiscal year ended March 31, 2018, and strengthened our operations, administrative structure, and information management system to establish a corporate structure that will continue to take on the challenges of our next stage of growth. We will continue to aim high, inspired by the backing of our shareholders. We would like to express my deep appreciation for your support. The rapid global expansion of ESG (Environment, Social, Governance) investment is accelerating the introduction of stringent standards for the exercise of voting rights not only by foreign shareholders (overseas institutional shareholders), who are the largest shareholders in Japan’s listed companies, but also by domestic institutional shareholders, comprising mainly trust accounts such as Japanese pension funds. The ratio of Japanese shares held by these institutional shareholders is already over half, and dialogue with institutional shareholders is taking on more and more importance in corporate management by Japan’s listed companies. Furthermore, against the backdrop of their rapid advance in Europe, the U.S., and Asia, the efforts of activist shareholders targeting companies that have governance issues regarding such matters as poor performance, scandals, M&A, internal reserves, and shareholder returns, is finally shifting into high gear in Japan. Under these circumstances, in order to further expand and enhance our unique, independent financial consulting capabilities that make client orientation an absolute criterion, we established our Investment Banking Department as an independent body, bringing together financial, legal and audit professionals in Marunouchi. Meanwhile, we sought to enhance the skills of our consulting personnel by developing systems that use technologies such as AI (artificial intelligence) to improve global research and consulting capabilities in our IR/SR Consulting Department in Kasumigaseki. As a result, we saw a significant increase in opportunities to provide various solutions related to Power of Equity, which is the Group’s greatest asset, and in entrustments related to M&A. In addition, as the first new entrant to the stock transfer agency business in 40 years, we have steadily increased our number of entrustments through cutting-edge shareholder administration handling services, to the point that the Group has become a presence with strong appeal. As a result of these efforts, we have announced record-high financial results and dividend returns to shareholders. We will continue to increase the speed of reform and take on challenges at the stage of further growth. We ask our shareholders for their continued support. Copyright© 2018 IR Japan Holdings, Ltd. All Rights Reserved.